“How many passes before a shot? These are the words of Norman Dale, a teacher and head basketball coach of a country high school in the fictional town of Hickory, Indiana. 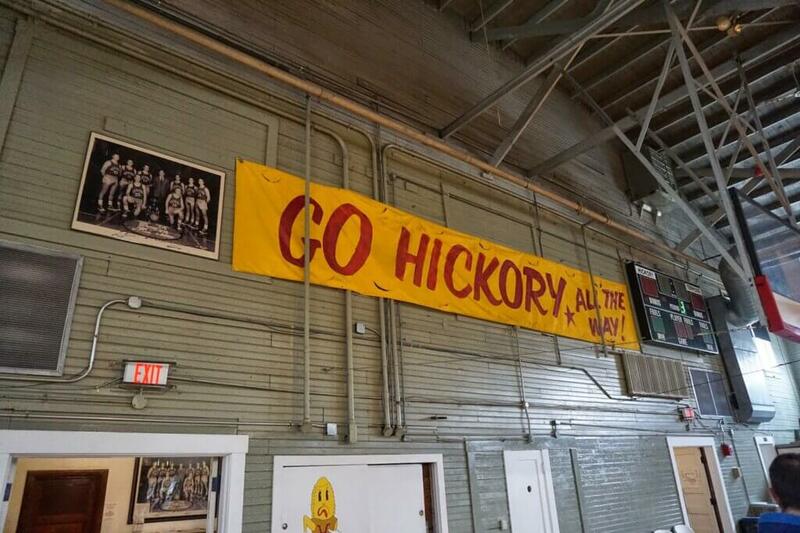 As is typical of midwestern small town America, Hickory is passionate about basketball. Dale is brought in as head coach to try to revive the winning spirit. With only a few team members, he sets out to break down the “it’s all about me” mentality. Much to the skepticism of the town leaders, he dismisses any players who do not take teamwork seriously. Last week Dad and I visited the gymnasium in Knightstown, Indiana, where this award winning movie Hoosiers – the true story of the 1954 (set in 1952 in the movie) Indiana Boys High School Basketball State Champion Milan High School – was filmed. 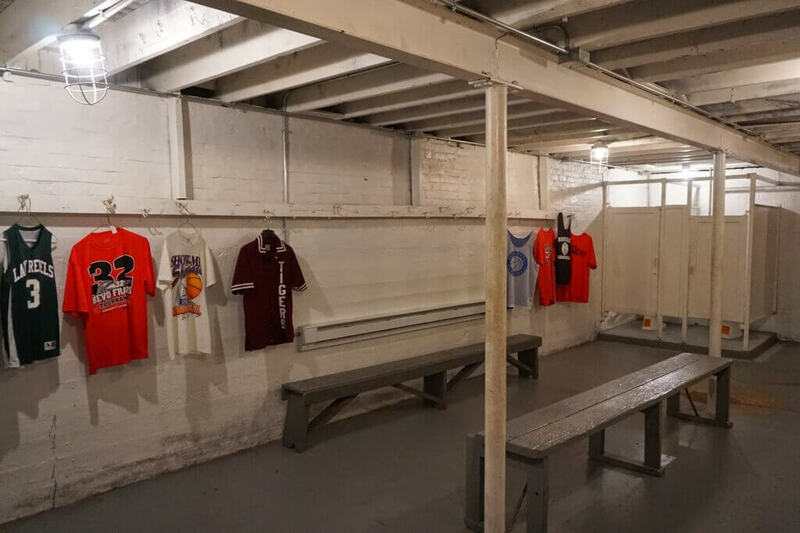 We went down into the locker room where the voice of Coach Dale still echoes in the claustrophobic, concrete room. During one scene, Coach sternly reprimanded the players for not following his direction. Even when it seemed like some of the individuals were able sink hoops on their own, he demanded that they work as a team. He knew that the benefits of teamwork outweighed the benefit of one or two hotshots playing alone. As brothers and sisters in Christ, we are called to be of one heart and mind. There should be no such thing as a one-man ministry team. We are the body of Christ and need to work together to accomplish the tasks that God has for us. The members of the early church understood this principle. They went as far as not even to claim any possessions as their own personal property, but shared everything they had. Together they powerfully witnessed to the resurrection and salvation of Jesus Christ. There were no needy persons among them because they shared all that they had. And as they prayed and worshiped together, God’s power was present. They were all filled with the Holy Spirit and spoke the Word of God boldly. What about the church today? Are there ministry players who are attempting to accomplish God’s work on their own? Though there are many talented family members, playing it alone will never be effective and the “all about me” syndrome is not what God desires. Each brother and sister is necessary and as we work together many will be won to Christ. Despite some difficult circumstances, the town of Hickory, Indiana, finally recognized the wisdom of Coach Norman Dale. They chose to stand behind him and his 4-pass offense. As the team began to work together they became unstoppable and eventually won the 1952 state championship against a much bigger and stronger team. How did they do it? As a team! Always remember that as a member of the body of Christ you are part of a team. If you want to be have a part in the victory, don’t try to hog the ball – pass it!